Never before have non-profit fundraisers had access to so many resources to help them achieve their goals. Gone are the days when the only fundraising tools available to organizations were a couple of out-of-date books at the library and a clunky CRM system that was really designed for sales companies. Today, non-profits have access to thousands of different resources to help them boost their fundraising, ranging from online classes to powerful donor management systems and everything in between. In this article, I want to highlight 7 online fundraising tools that I’ve used over past year helping organizations build better fundraising programs. These are just 7 out of the millions of resources available online, and are presented in no particular order. Edgar is an automated social media platform that can automatically post updates for your organization to Twitter, Facebook and LinkedIn. You can import or create dozens (or thousands) of Tweets and updates, along with a schedule that Edgar will follow in posting your updates to your social media pages. What sets Edgar apart from other social media automation platforms are its ease of use and its ability to not only automatically import blog posts and other content you create for use as social media posts, but also to segment your content types in dozens of ways and set up a schedule based on those segments. This tool is not free (as of the time of writing Edgar costs $49 per month) but does offer a free one month trial. If you’re a small non-profit looking for new technology (including software), check out what TechSoup has to offer. 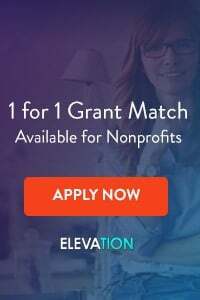 This non-profit partners with dozens of for-profit companies that serve the charitable sector to offer discounted hardware and software to non-profit organizations. For example, at the time of this article, non-profits apply through TechSoup to get Quickbooks for $50, refurbished laptops for $250, and lots of other discounts. E-mail newsletters are the backbone of most non-profit donor cultivation programs… and for good reason. E-newsletters are cheaper than snail mail, they are highly targetable, and most people are on their e-mail several times per day. Non-profits have a wide range of newsletter service providers to choose from. Many organizations use database systems that offer e-mail newsletter capabilities. For those that don’t, AWeber, Constant Contact and MailChimp all offer simple, easy to use e-mail newsletter platforms that will allow you to create and send beautiful newsletters without lots of fuss. Pricing on all three varies based on how many e-mails you have on your list. Have you ever found yourself wondering how many gifts you will need, at various levels, to reach a large fundraising goal? Fear not! The Fundraising Coach, Marc Pitman, created this free gift range calculator where you can plug in your overall fundraising campaign goal and see a breakdown of suggested gift levels. The results won’t be perfect – you’ll need to play with the numbers to make them “prettier.” (For example, the calculator may say you need five gifts of $11,500… that’s a weird number to ask a donor for, so you’ll want to change that to six gifts of $10,000). But overall, this tool is a handy, quick, and free way to build a gift range pyramid on the fly. I often say that great fundraisers aren’t born, they’re made. Everyone has the capacity to be an amazing fundraising and to make successful, face-to-face fundraising asks, no matter their personality. 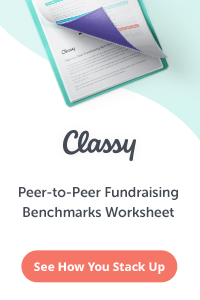 Asking Matters has taken this one step further and created an Asking Style Assessment that will allow fundraisers (and board members!) to fill out a short 3 minute online questionnaire that will place them into one of four distinct asking styles… and then teach them how to use the strengths of their unique asking style to make better, less stressful asks. The Assessment is free but does require registration. Looking for some examples of great fundraising letters, online asks, legacy fundraising and more? Look no further than SOFII. 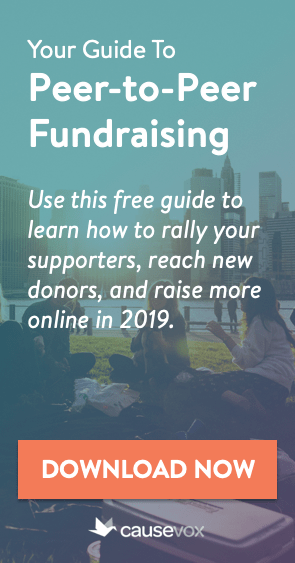 This site has thousands of examples of strong fundraising campaigns and materials, ranging from historic fundraising letters to modern campaigns and everything in between. The only danger here is that you’ll go “down the wormhole” and spend hours looking at their amazing (and free) collection before you get back to work! For non-profits hiring a key fundraising position, it can be hard to cut through the clutter and find good candidates with a heart for non-profit work. For fundraisers seeking a well-paying position at an organization that is serious about its work, it can be difficult to sift through the ads seeking free help, interns, and people willing to work long hours for low pay. I have found job boards at The Chronicle of Philanthropy and Idealist to be two great places for non-profits to connect with serious fundraisers. For executive fundraising jobs (Development Director, V.P. Development, etc.) at mid-size or larger organizations, The Chronicle of Philanthropy is my go-to hiring resource. I use Idealist to seek entry and mid-level fundraisers as well as Development Directors for smaller organizations. Neither resource is free, but I have found both to be well worth the cost. 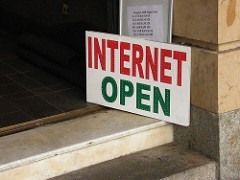 Great Article, I run a non-profit fundraising business in Hawaii. I will defiantly start using the tools outlined. Currently we do fundraising for Hawaii schools through Hawaiian Snacks.